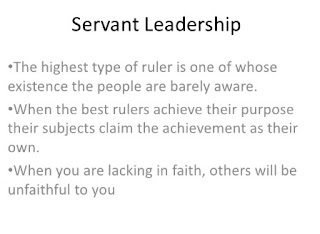 What Is Servant Leadership - It has been believed by many people that in any hierarchical structure, the one who is at the top of the pyramid is the boss or the leader. However, the new kind of leadership style comes and it may change the way we look at the structure of a traditional leadership. 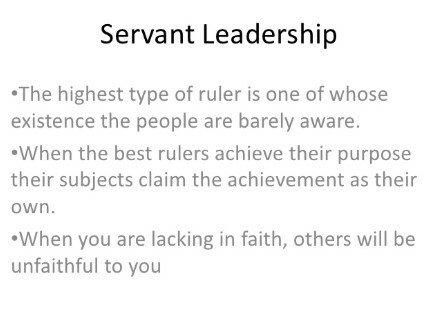 This new type of leadership is what we call as the Servant Leadership. Different from the traditional and common leadership style, in which the servant serves the boss, the servant leadership turns the structure upside down. The leader is the one who should serve the servant. You may think that it is too crazy to be believable, but the idea has actually been with us since long time ago. The original way of leadership is that one person could lead a lot of people to achieve their goal. One person is chosen because he or she is seen to be able to lead the others. Having a lot of people with the same goal will be a mess if they are not lead or managed by one person. You can imagine the chaos. However, the world has been exposed to bad leader who change the goal of the mass into the goal of his or her own. From this, the servants seem to be the one who feed the leader and not the other way around like it is supposed to. The Servant Leadership brings the old concept of leadership back in its track, in which the leader should be the one who serve the need of the masses and not the other way around like the distorted view of traditional leadership. In this kind of leadership, the leader has to be the one who thinks the way to achieve the goal that is purposed by the people or the servant.